Kim and Jazz floral did an incredible job at my wedding!! The beauty of the flowers blew me away! I received many compliments on them as well. Kim was very easy to work with, was timely in communication and delivery of the flowers, and she even delivered extra flowers to the bakery to put on my wedding cake. She was open to feedback on the look of the decor, worked with me to nail the concept down, and made everything look even better than I imagined. Would highly recommend using them!! I called Kim a week before I needed my wedding bouquet and we discussed my ideas over the phone. She asked me to email her some sample pictures to make sure we were both on the same page, and she explained how she would make a few changes to fit the season and style I wanted. I picked up my bouquet the morning of my wedding and it was beautiful! She brought my ideas to life! 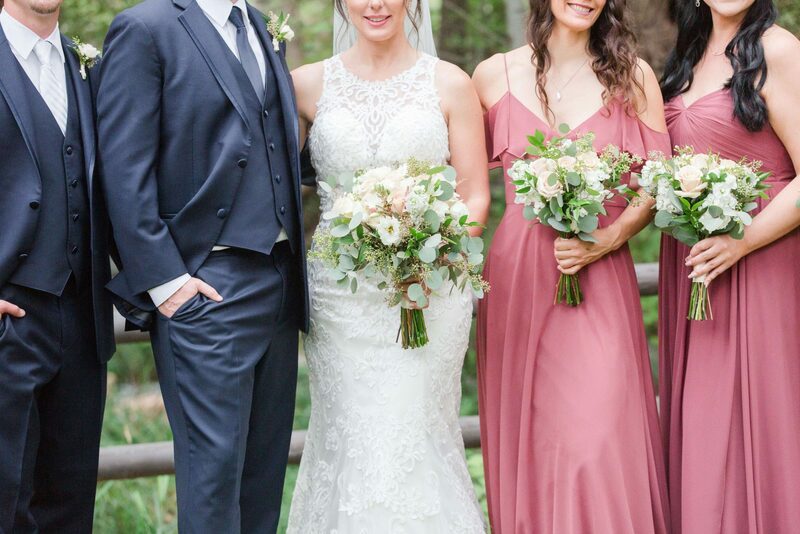 I would recommend Jazzy Bouquet Floral to anyone in the Sedona area in need of a Florist!! Working with Kim was a pleasure! She is very thorough and kind! My wedding cake flowers were just gorgeous! Thank you Kim for all of your attentiveness! Exactly what I envisioned! 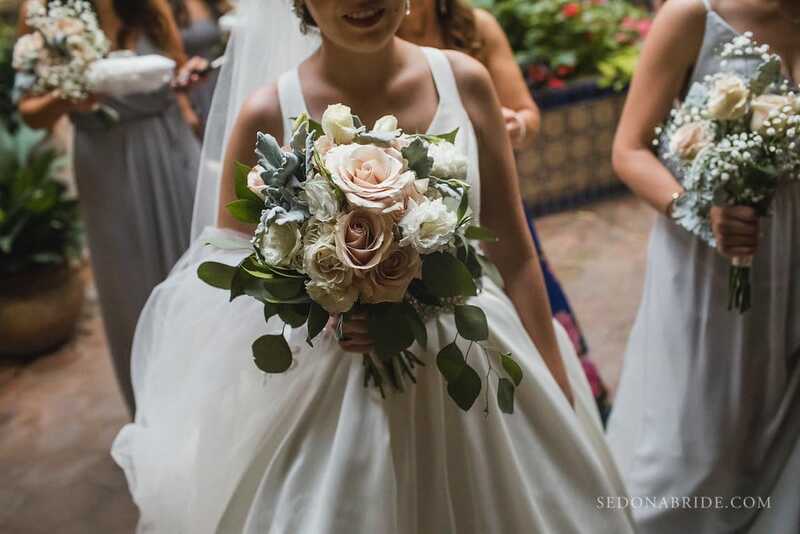 Kim did a wonderful job translating my bridal bouquet ideas into reality. She was easy to work with being several states away. Delivery on time and flowers even came back with me on the plane looking fresh. Thanks Kim! 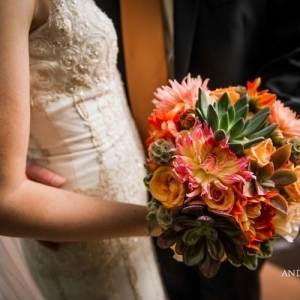 Kim created a beautiful succulent bouquet and boutonnière for my wedding. Everything was perfect! The bouquet was exactly what I asked for. I really appreciate her help in making our wedding day perfect! Thanks Kim! 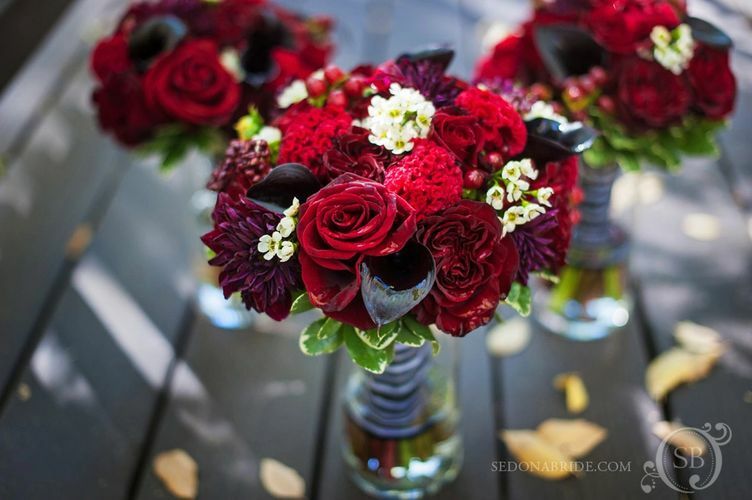 Our expertly handcrafted floral arrangements with Sedona’s breathtaking Red Rock vistas make for an unforgettable wedding day. See what happy brides have to say about us, and schedule a FREE floral consultation on our wedding page! Jazz Bouquet Floral has served the community of Sedona since 2008. We offer exquisite custom floral design and same day flower delivery to your home, resort, or business. We specialize in wedding flowers, special events, anniversaries, birthdays, and sympathy floral arrangements. Our flower shop is family owned, local Sedona florists, and we have over 20 years of experience. Jazz Bouquet Floral is conveniently located in West Sedona, at 1725 W. 89A. At the corner of Northview and 89A in Vista Del Norte Center. Jazz Bouquet Floral offers floral deliveries worldwide. Also offering same-day delivery to your home, business, or resort in Sedona or Cottonwood. 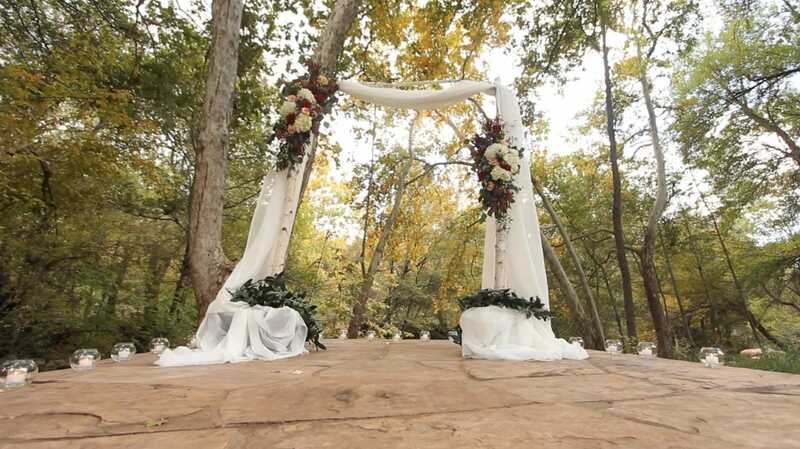 We specialize in weddings, events and custom Zen style creations. Fresh flowers improve the mood and energy of everyone who comes in contact with them. A behavioral study conducted at Harvard University shows people feel more compassionate towards others, have less worry and anxiety, and feel less depressed when flowers are present in the home. 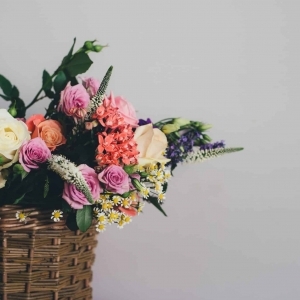 Living with fresh flowers can provide a boost of energy, happiness, and enthusiasm at work.